Times Resumes - "Terms of Service"
5. 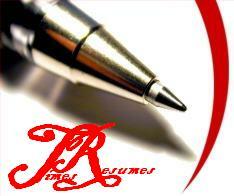 We at timesresumes.com shall make all efforts to provide the draft of the completed/updated Resume/CV/SOP/ Admission Essays within 5 business days (2 business days in case of Express Service). (Sundays, Bank Holidays & Festivals are not counted as Business days. Delivery time is calculated only after after we have received all additional details form the client). However, timesresumes.com is not responsible for delays caused by reasons beyond our control.